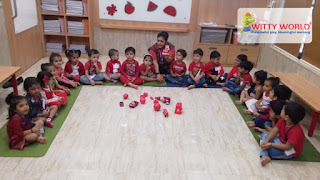 I love red, I love red. 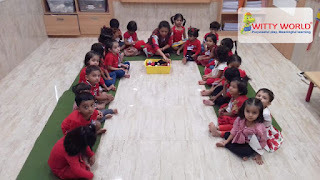 That’s what I said, that’s what I said. 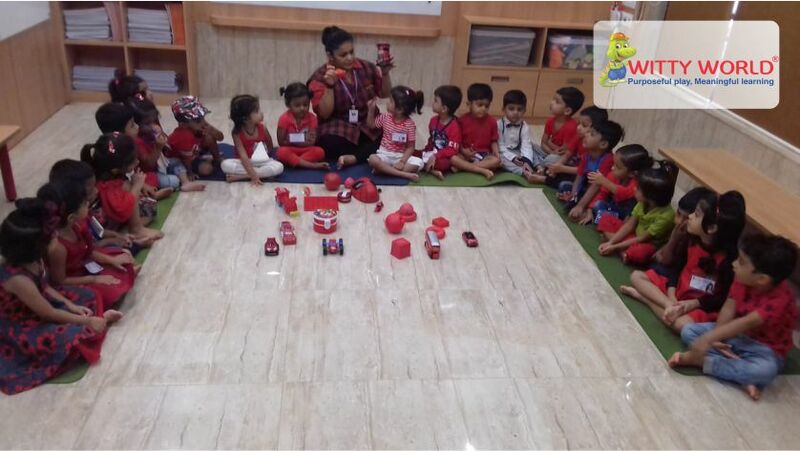 Fire trucks, wagons and strawberries piled high. 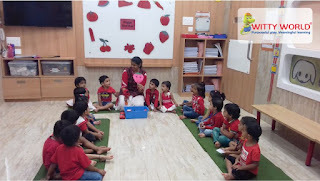 Stop signs, hearts and pizza pies. 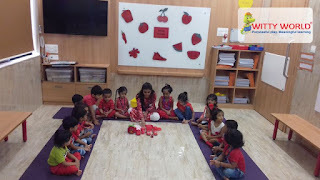 Roses, tomatoes and apples, oh my! 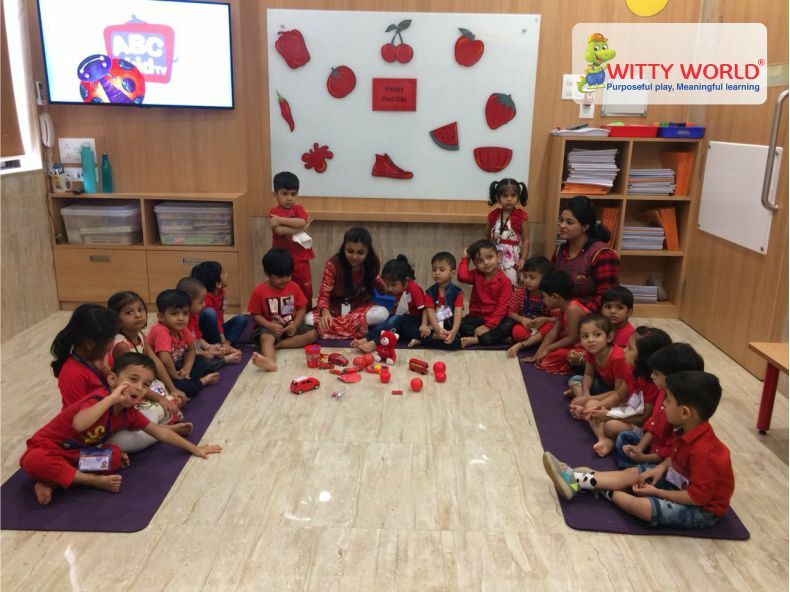 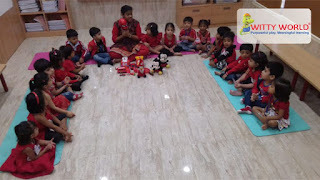 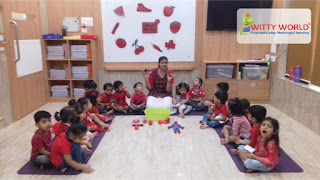 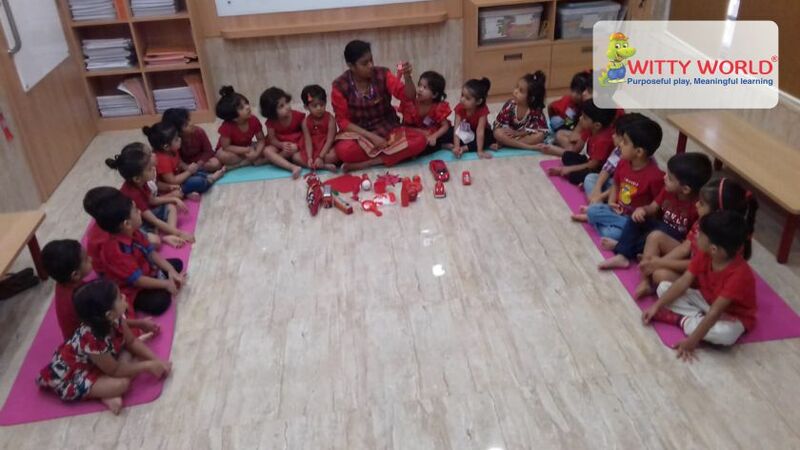 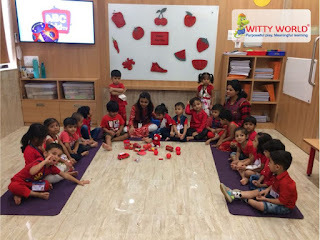 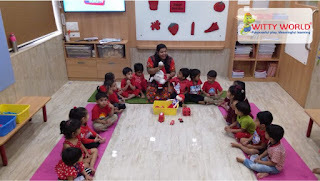 The Little Wittians of Nursery celebrated Red day on Monday, 25th June 2018. Teacher introduced the concept of red colour to the children by narrated the story of ‘Red Riding Hood’. 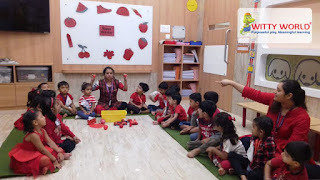 Children were encouraged to identify the red colour objects displayed in the class. 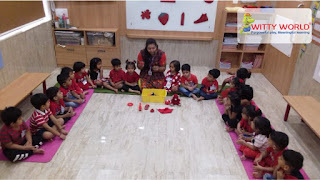 Children did random stroke painting using red colour on chart paper. 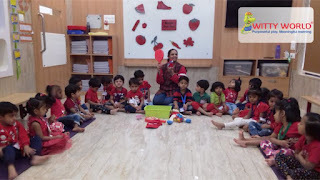 They were also encouraged to sing rhymes related to red colour. 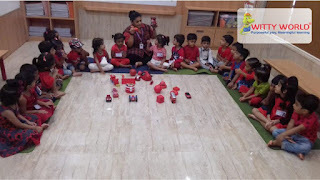 Dressed in red attire, getting red coloured snacks in their Tiffin and carrying their red colour toy , the tiny tots got lots of exposure of Red colour in an enjoyable way. 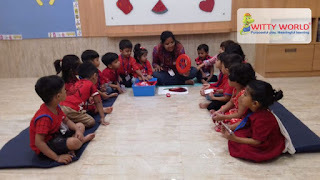 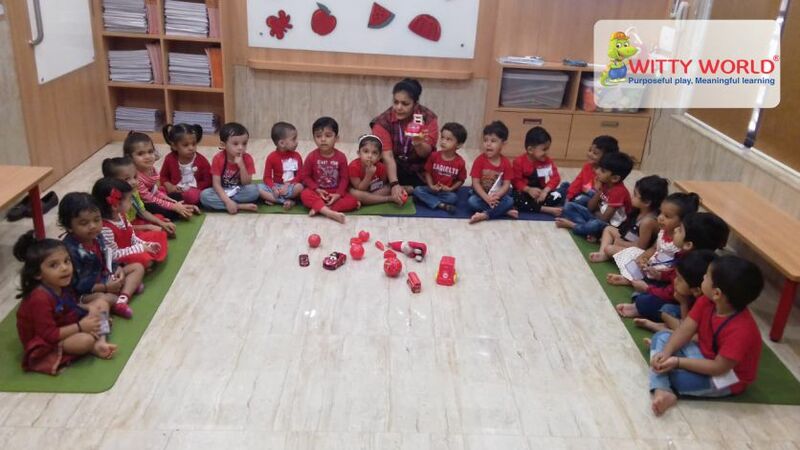 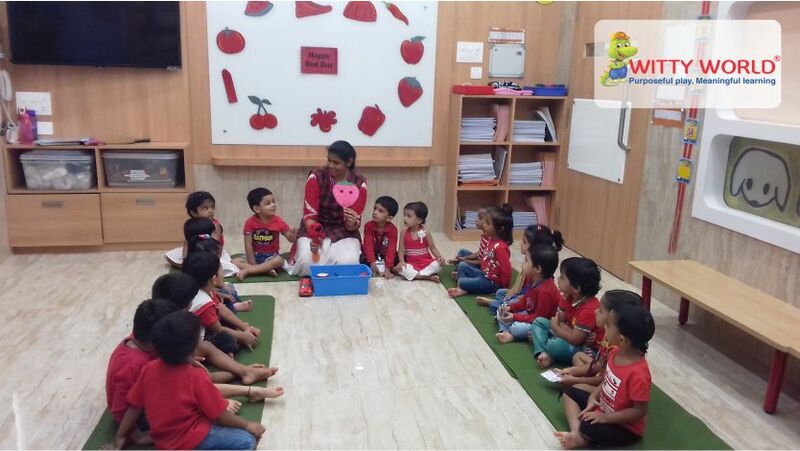 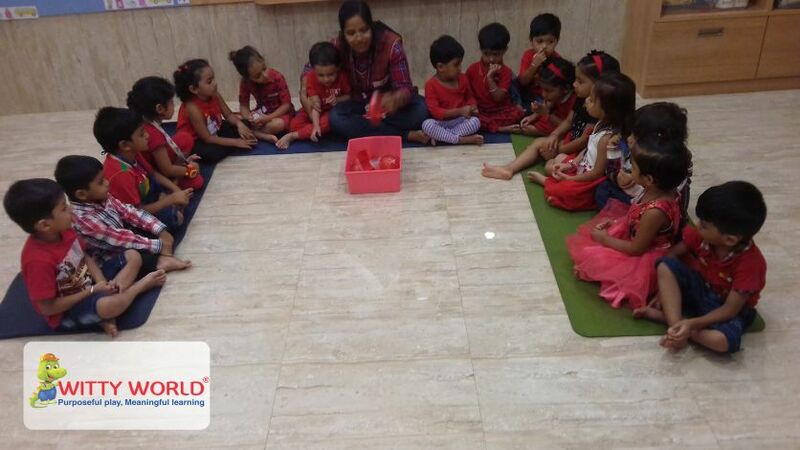 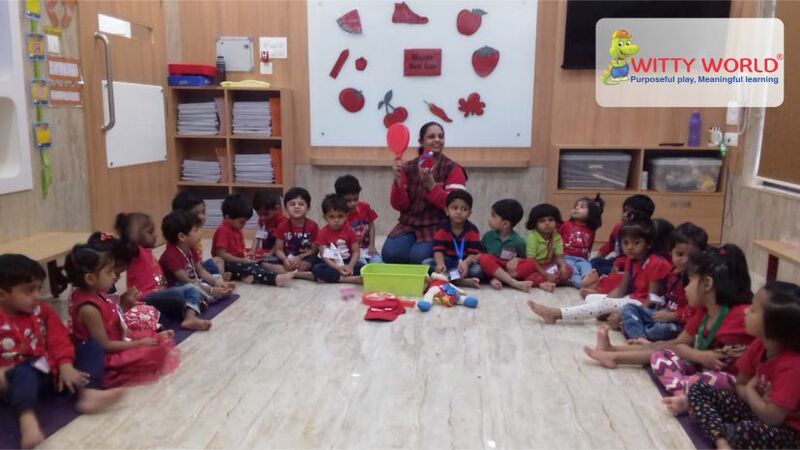 It was indeed a fun-filled ‘Red Day’ in the Nursery classes at Witty World.